But let’s be honest, at the end of the day, shopping for friends, especially blogger-friends, is probably the hardest thing this season…especially if you’re trying to get us something that’s not a new camera, half of the Lush store or that really-adorable-but-still-can’t-afford Urban Outfitter’s room tapestry. 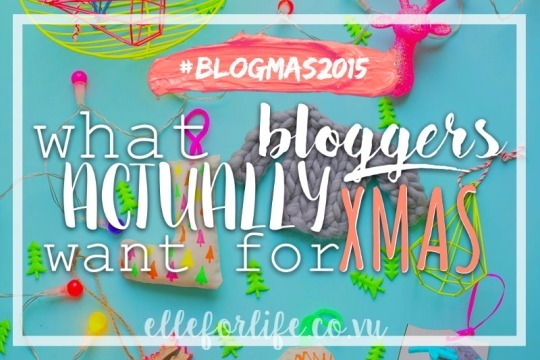 Step aside, new clothes and MAC lipsticks…What Bloggers ACTUALLY Want For Christmas! For something (post, picture…heck, we’ll even go with some quote we made up) to go viral. What does a girl have to do to get a million views? 3. MORE MEMORY. I just need more camera roll. On my camera, my iPad, even my stupid phone. 4. Orrrr just a better memory. Am I the only one who thinks of the perfect blog post/title/content on the bus or at school or before I go to bed? And then wakes up forgetting everything? 6. Make and meet up for blogger friends <33 I love talking to all the lovely people on Twitter, but it would be even cooler to actually meet up with them at a Starbucks or Panera Bread and chat blogging for a bit. 7. “To Eat Like There’s No Tomorrow” Wait..so you mean I can take artsy pictures of this bread bowl but I have to work off the holiday pounds at the gym on Saturday?? 8. A room just for pictures. Marble table tops, bleached wood floors…white walls, gold polka dot comforters…floor to ceiling mirrors. IMAGINE THE INSTAGRAM PICTURES. 9. Longer Daylight Hours. Mother Nature, please have some appreciation for the bloggers who are still in school for most of the winter day, and keep the sun at the same position while I attempt to take this picture of a glass ornament. Love, the bloggers. 10. Perfect feed & content. Is that too much to ask?